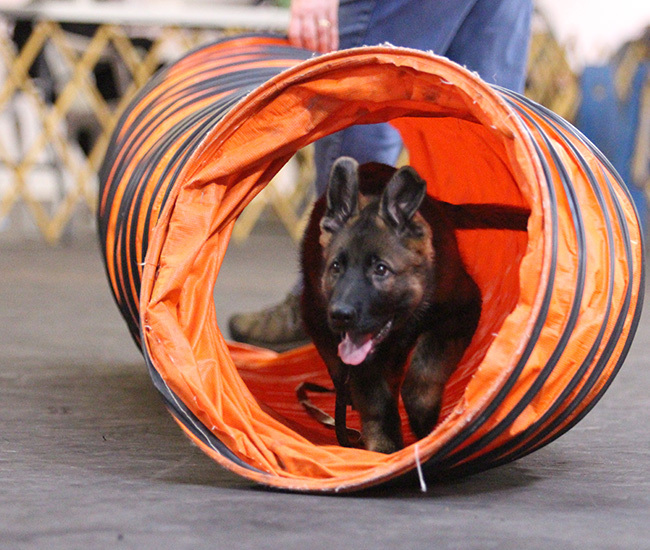 Beginning I Agility-class introduces the dog and handler to each of the individual obstacles used in an agility course and how to execute them correctly and safely. Proper jumping technique is covered and brief 2-3 obstacle sequencing started in later week classes. Appropriate for young and/or inexperienced dogs with height of obstacles lowered. Recommend prior basic obedience training.